Retro-bit Controller Adapter and Stella Mac OSX Configuration? Well, I just finished putting in 3 hours with my son trying to configure this adapter to use my old 2600 joysticks so we could play Freeway, Frogger, etc on a Macintosh. I could get one player to move up and down. That is all. I even tried installing and configuring USB Overdrive. FYI, we tried it with our Power64 Commodore64 emulator and could only jump and move right (I know it's unrelated, but I felt like mentioning it). Has anyone out here successfully used this thing with Stella 4 on Mac OS 10.6.8? 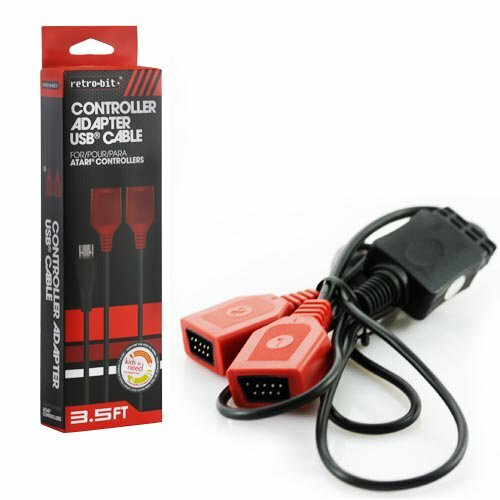 I would be interested if your USB-Joystick adapter is working with another emulator. Goto Options>Options>Joystick to configure both joysticks !